I began quilting when I lived in the Netherlands. In a nearby village there was (and still is) a beautiful quilt shop called De Dekenkist. They had the most wonderful window displays and I would always stop and stare but never dare to go in because I felt my Dutch wasn’t good enough. One day, feeling a bit more confident about my Dutch, I went in and had a look around. One of the assistants asked if she could help me, I replied back in Dutch and then she (recognising my accent) switched to English and said she was English too. I think I started quilting because I had always dabbled in crafts before then – mainly knitting and a bit of tapestry. I liked doing them but I kind of didn’t like how I knew they would turn out right from the beginning. There is a pattern to follow and give or take a few minor alterations and yarn choice, it’s going to turn out pretty much how you thought it would when you first started. Quilting is different. You’re still making something but I love not knowing how exactly something is going to end up. Everything: fabric choice, design, size etc etc is your idea and I like that. There is also room for mistakes but you can hide mistakes in quilting so that they just become a ‘design decision’ ;-) By that I mean you can just cut a bit extra/swap things round/applique over it. If you make a mistake in knitting it shows: a dropped stitch remains a dropped stitch, following the wrong pattern line just sticks out like a sore thumb. I find quilting therapeutic, creative and (especially hand-quilting or piecing) incredibly relaxing. That may sound dorkish but it’s true. 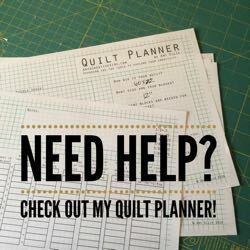 I don’t know that I have a favourite quilting tip. If someone was starting out now I would say ‘just do what works for you.’ When I first started I was always worried about doing things the ‘right way’ (whatever ‘the right way’ is): was I hand-quilting the requisite number of stitches per inch; did all my points match exactly; was I using dark, medium and light fabrics that were easily identifiable as dark, medium and light (you’ll understand why in my Blogger’s Quilt Festival quilts) etc etc. Now, while I still think you need a certain level of sewing skills, things are a lot more free and easy and I love the whole attitude to quilting now. I always felt a bit embarrassed that I quilt. When I started I was in my 20s and it wasn’t regarded as a ‘young’ hobby. Now there seems to be a resurgence in all things crafty and quilting is not regarded as ‘uncool’ any more. 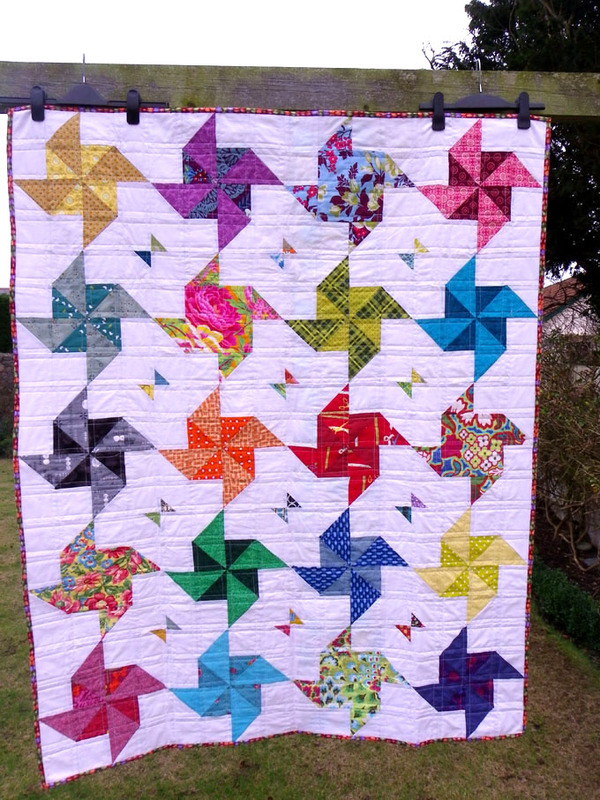 I entered two quilts in to the Blogger’s Quilt Festival. One was shortlisted in the Viewer’s Choice category and the other won the Scrap Quilt section. 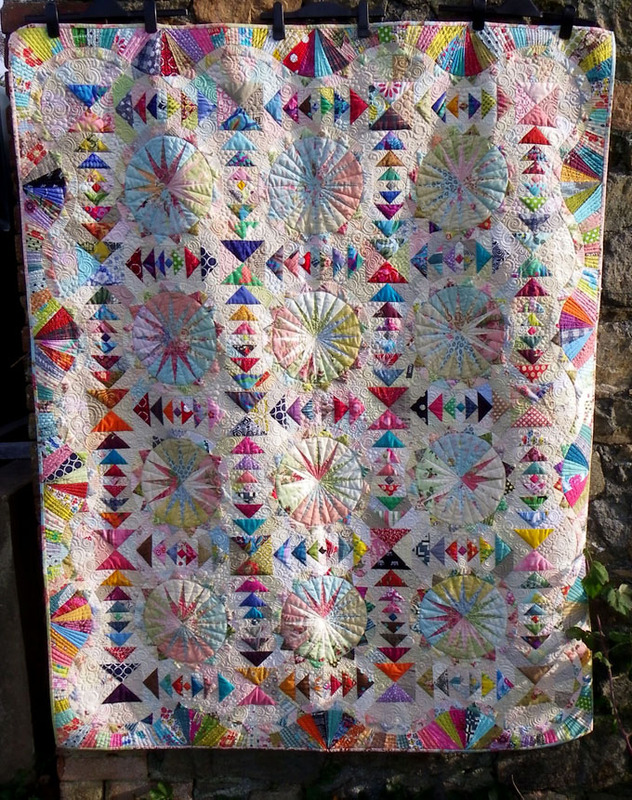 I don’t want to bore those who have already read about this quilt by repeating the whole back story to this quilt, suffice to say, if you don’t know, please click here. The short story is, it’s a paper-pieced commercial pattern, was not always a labour of love and so by the time I had finished I did something I’ve never done before: sent it to a longarmer. And not just any longarmer. The uber talented Krista Withers who completely transformed it. Again, the back story to this one is here. And the short story is, it’s completely hand-pieced from one kite shape and then machine quilted by me, hoping a little Krista Withers magic would rub off on me during the process! I think they are both good examples of how I like to work: as many different types of fabric and styles as possible and blurring the distinction between dark, medium and light (especially in the first quilt) which I personally feel adds more interest to the quilt. I mainly sew quilts but I also love to make cushion/pillow covers. They’re an excellent size to try out new ideas. I also have a bit of a bag fetish from time to time and like making those and giving them away as gifts. Oh and I also apparently sew on buttons and mend holes in clothes but I like to think that I’m not very good at that so others will take on the task themselves. Hmmm. 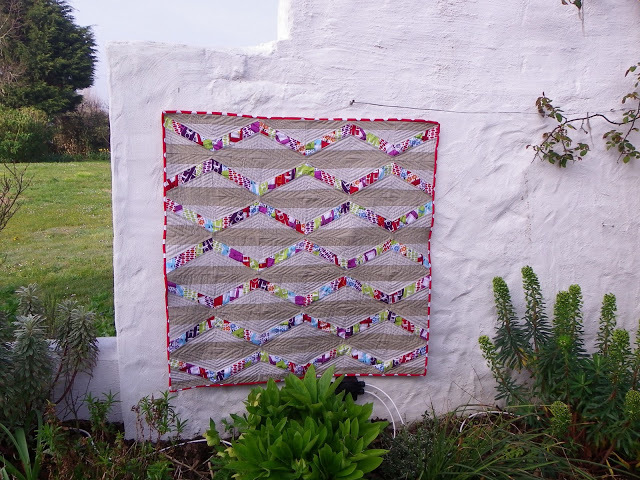 Well I live on a very small island (Guernsey) and I definitely think that has shaped my quilting. 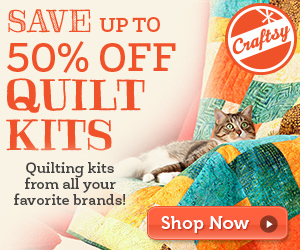 There is no quilt shop and so everything I get from the internet. I think it means I can’t (or don’t want to) plan a quilt from beginning to end because I can’t just pop out to the shop to get an extra yard of this or that. I just start with what I’ve got and if I run out there will always be something else in my stash that I can use instead. I would like to end by saying a HUGE thank you to Amy. 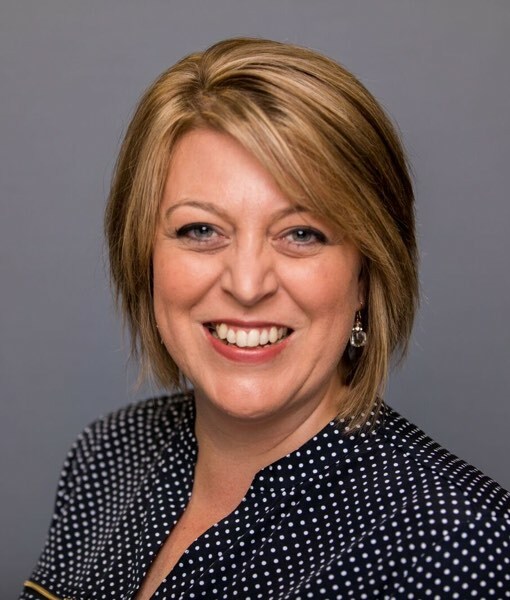 If you do live in a small, isolated community it is things like the Blogger’s Quilt Festival that makes you feel connected and a part of the quilting community, albeit in a virtual way. 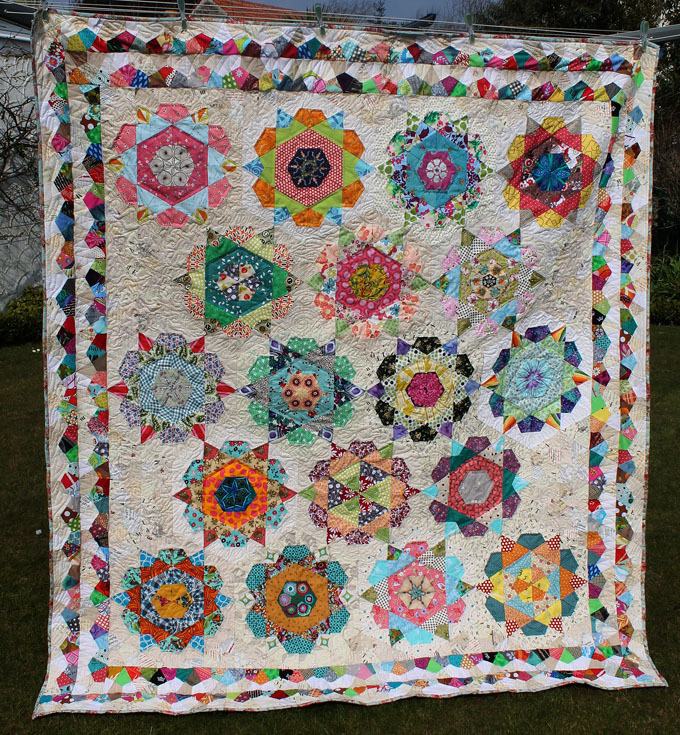 And of course a ‘thank you’ to everyone who voted for both my quilts. I know it’s only a bit of fun but I was/am touched. Thank you for sharing with us Alison! I really enjoyed this interview!! 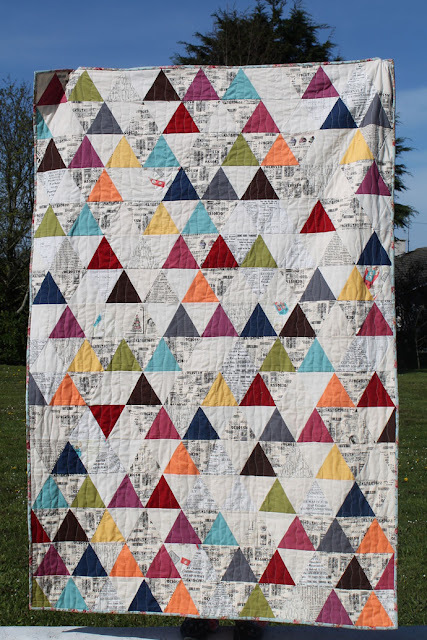 Thanks for featuring Alison and her wonderful quilts! I love Alison’s quilts. They have liveliness and vibrancy, and I wish I had her eye for colours. Scrappy quilts are the best, and these are simply beautiful examples. This was very enjoyable – thank you! I am a big Alison fan and it was fun to read her thoughts on her process.